Ultrasonic oil diffusers are the most commonly utilized diffuser today. They are widely available in all different sizes, shapes, materials and price ranges. Ultrasonic diffusers are a great way to use essential oils without denaturing the oils. 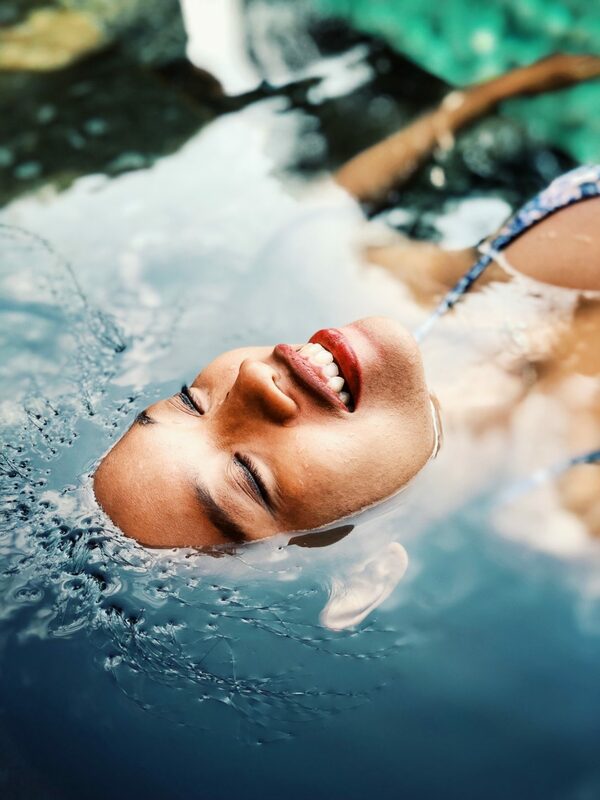 Denaturing happens when an element such as heat is applied to the oil, changing its chemical composition and aroma, and negating the therapeutic benefits. Ultrasonic diffusers are typically constructed of reservoirs that are filled with water and some essential oils. They work using ultrasonic vibrations at a frequency the human ear cannot detect. These sound waves agitate the water causing the particles to separate and become negatively charged and lighter than air. 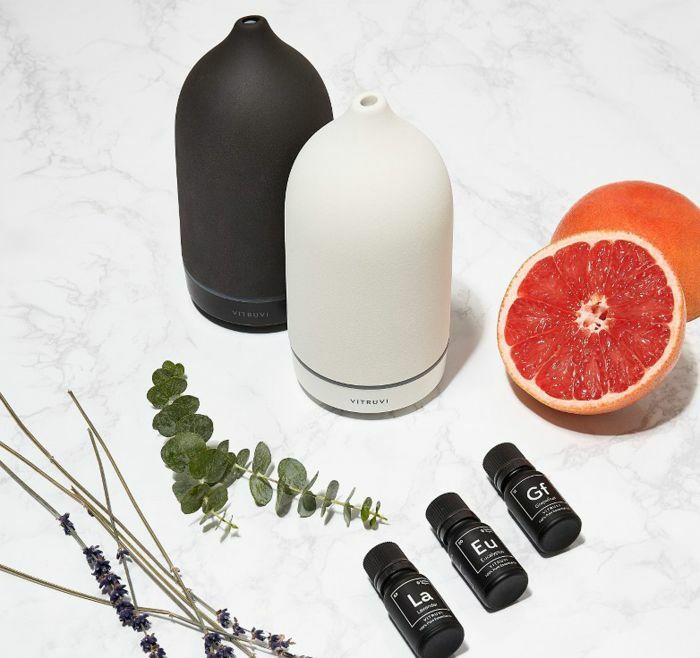 The essential oils are then carried into the air with these negative ions which bond with positively charged free radicals in the air, cleaning and adding a small amount of moisture to your room along with the essential oils that you’ve chosen. Diffused essential oils purify our air and improve physical and mental health while also leaving us with a pleasing aroma. When choosing your ultrasonic diffuser there are some features to consider. If you are planning to use the diffuser in your bedroom or another quiet space, you may want to avoid diffusers with sounds or lights that you are unable to turn off. Another feature to consider is the running time of the diffuser. Some will run for only a few hours to up to 12. Finally, the material of the diffuser is very important. Be sure to choose high-quality and durable plastics that will not degrade over time allowing plastic particles to be emitted into the air, and that will withstand the strength of essential oils without being damaged. Check out our complete buyer's guide to find the right diffuser for you. To get the most benefit from your ultrasonic oil diffuser, we’ve compiled some tips that take you beyond the user manual so that you are using your diffuser like a pro. All you really need to get started with your oil diffuser is a solid, flat surface large enough to fit your diffuser that is close to an electrical socket. However, there are a number of other considerations to make when choosing the best location. Since water is used in an ultrasonic diffuser, it is a good idea to place a towel or pad below your diffuser, particularly if being used on wood or other porous surfaces. 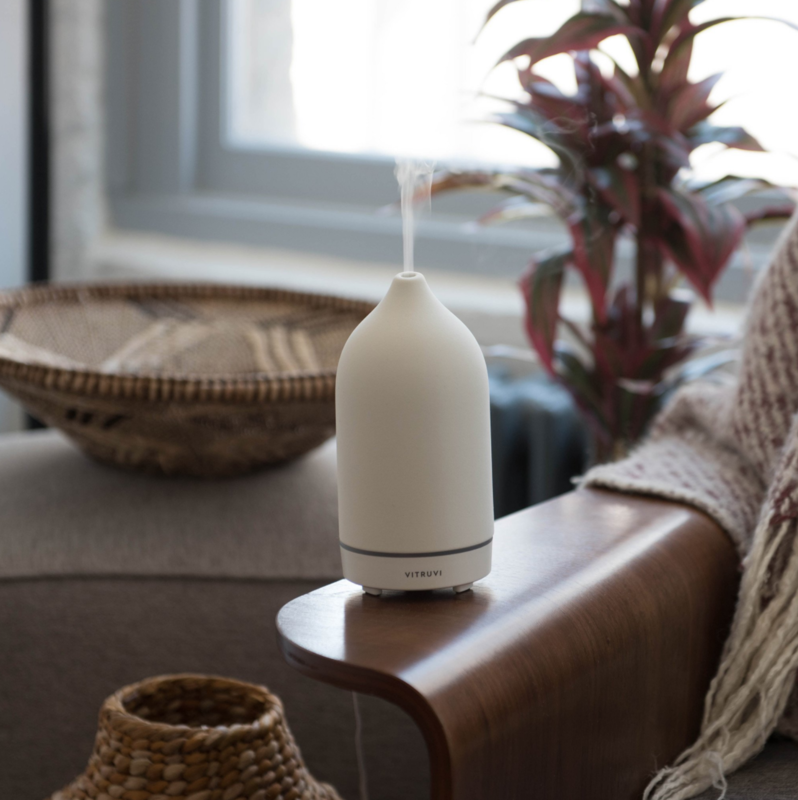 The mist emitted from your diffuser contains oily particles of the essential oils and any carrier oil in the diffuser, so be sure to place away from any objects that may be affected by a light spray of water or oil such as books, glasses or electronics. It is considered best not to directly inhale the mist from your diffuser, so be sure to avoid locations such as your bedside table or desk. To get the best use from your diffuser, place away from direct sunlight or moving air such as an open window, fan or heat source. Be sure to refer to your specific diffusers manual when opening your diffuser and filling with water. Be sure not to fill over the maximum amount or your diffuser may not work properly and could overflow. Most diffusers come with a maximum fill line and/or small measuring cup to fill up and add to the reservoir. When filling the diffuser tank with water, be sure to use distilled or filtered water that is room temperature. Tap water and other mineral waters might leave sediments that could clog your diffuser. Never turn the diffuser on unless it is filled correctly with water and the cover is on. When purchasing oils for your diffuser, be sure to get high-quality essential oils. Essential oils should come in small dark bottles that protect the contents from exposure to sunlight which can damage the oil. Avoid oils that are labelled as perfume oil, fragrance oil, scented oil, etc. These may be manufactured from artificial ingredients. When selecting oils also steer clear of bottles that use a rubber dropper, as the dropper can degrade over time and infuse your oil with bits of rubber. It is a good idea to consult an aromatherapist when selecting your oils to ensure you get a blend that will work for your needs that is of good high-quality oil. Only add essential oils to your oil diffuser if it has already been filled with water. Some oils placed directly on the diffuser material can cause harm to your diffuser. Be sure to consult your manual for the recommended drops of oil for the size of your diffuser’s reservoir. It is a good idea to start with less than the recommended amount with each new oil blend until you learn its strength. Larger rooms will require more drops of oil than smaller rooms. Because ultrasonic oil diffusers use water to disperse essential oils, it is a good idea to clean your diffuser regularly to avoid growing and mold or mildew that would disperse through the air. It is recommended that you clean between each use to get the most out of your essential oils. Regular cleaning will prevent buildup from affecting the diffusers vibration, and also ensure that you are diffusing pure oils without them being diluted by evaporation or with the residual aroma of your previously used blend. When cleaning your ultrasonic oil diffuser, be sure to unplug it first. Remove any excess water from the reservoir. Then clean the inside with a small brush and a mix of equal parts warm water and rubbing alcohol. If your diffuser did not come with a brush you can use a clean paint brush. Then rinse and dry it with a soft cloth. You can use a cotton swab or Q-tip with rubbing alcohol to clean the ultrasonic chip and allow it to air dry. Congratulations! You’re ready to get the most out of your ultrasonic oil diffuser, leaving your space smelling fresh and giving you all the therapeutic benefits of essential oils.